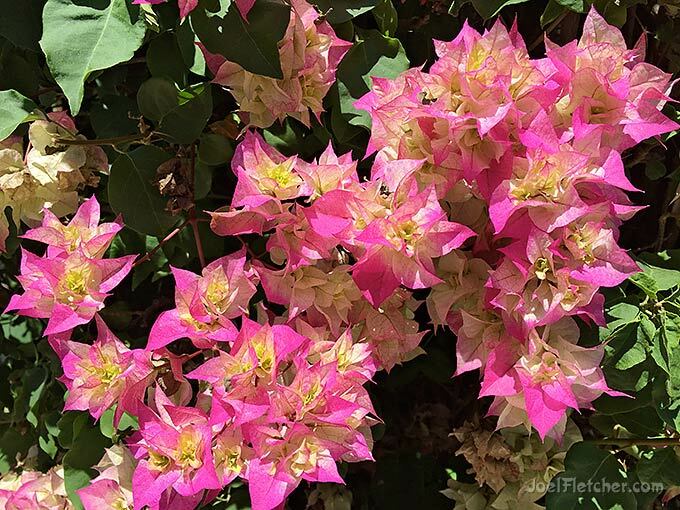 Beautiful Bougainvillea vines grow prolifically in Southern California, typically with solid colors of red or violet. This particular plant caught my attention due to it's unusual multicolored bracts, which are actually specialized leaves that surround the tiny yellow flowers. These plants are gorgeous, but need to be handled with care, as they have wicked thorns! I encountered this bizarre plant in Venice, California while out for a walk. The fairly large bush appeared ordinary enough, but the exotic blooms that covered it were remarkable. 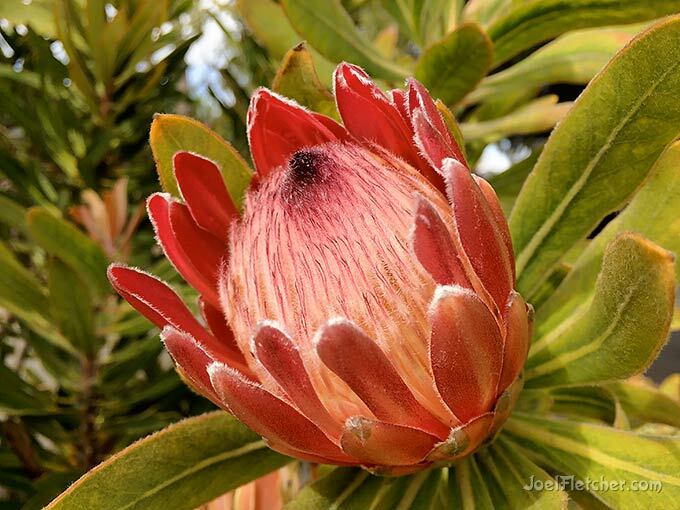 A little research informed me that the plant is known as Protea, a South African native; and there are a lot of varieties. A few of the species are able to be grown in the Southern California climate, such as this one, which had big flowers with a soft feathery rounded core. 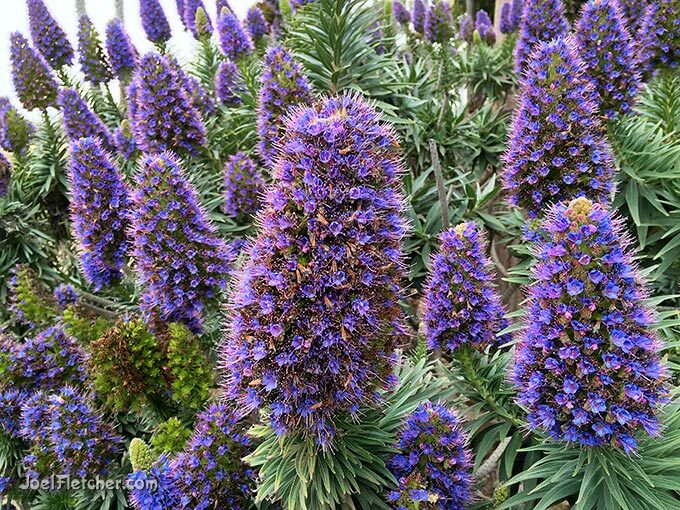 This amazing plant, known as Pride of Madeira, features striking flowering stalks that bloom in the spring. It is native to the island of Madeira, near Portugal, though it is considered an invasive species in other parts of the world. All the flowers in my photo are from one shrub that was easily 12 feet high, captured on the coast of Santa Monica with my iPhone.